Your event timeline - when does it start? 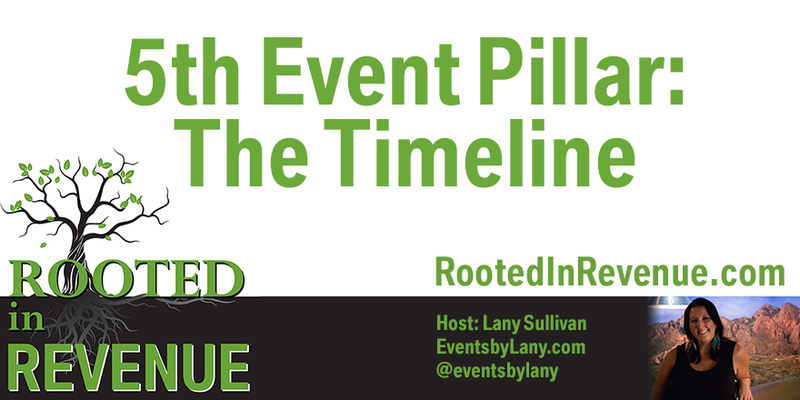 When planning an event, meeting, retreat, workshop or conference you will want to build out a timeline for your event. Certain elements of your event need to be reserved, contracted, ordered and paid for by a specific time frames prior to the event. If you have a member of your team managing this part of your event, you will want to ensure that they have the proper information and authority to complete tasks and sign contracts on your behalf. Most large events are planned 12-18 months in advance, but here is a good guideline to follow depending on how often you are running your event. If the event is an annual event, you will start planning your next event almost as soon as your current event is completed. The shorter the lead time on an event, the tighter the deadlines and potentially the higher stress. Lofty dreams and goals for events don’t work to create a successful event. I had a client come to me wanting to create a 300 person event in 60 days from scratch. The event idea was amazing, but they had no idea how they were going to put it all together, pay for it and get butts in seats in that time frame. Doing a smaller event in a short time frame is definitely doable, but you need to be super realistic when it comes to deadlines, money and attendance goals. The greater the lead time to plan an event, the higher the success rate.